The variety of speaker engineering ranges from a multi-driver box speaker with crossovers to dipole ribbon and electrostatic speakers. Each has it’s own characteristic abilities which give diverse flavors and feelings to the listening experience. But the utopia is for the flavor and feel to mimic what a live performance would evoke. Every single nuance, if possible. In Wide-Banders and Open Baffle Bass Extensions, I have discovered all the benefits of other designs without the drawbacks. There is no crossover to color the sound, resulting in a single point source which attributes to speed, dynamics and resolution, in addition to stunning sound staging and atmospheric feel. There is no trade off in listening to wide-banders. They are the ultimate truth in transparency. 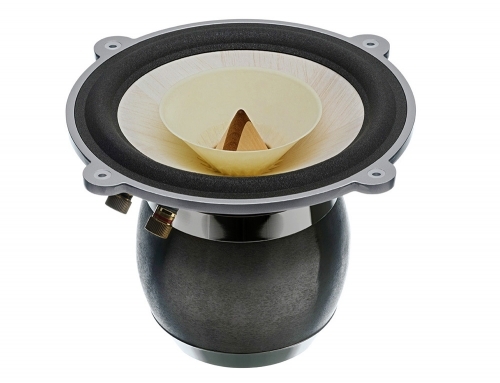 Several Speaker Companies have taken the wide bander design and run with it. Voxativ, Rethm, Lowther, Fostex, Omega and a few others all have wide-bander drivers and are stellar speakers to buy; The quality for the price point is astounding. In addition wide-banders are not as picky about room placement. You can put them just about anywhere and they sound perfect.